Kakralomino: By my hat, what's all that racket about? 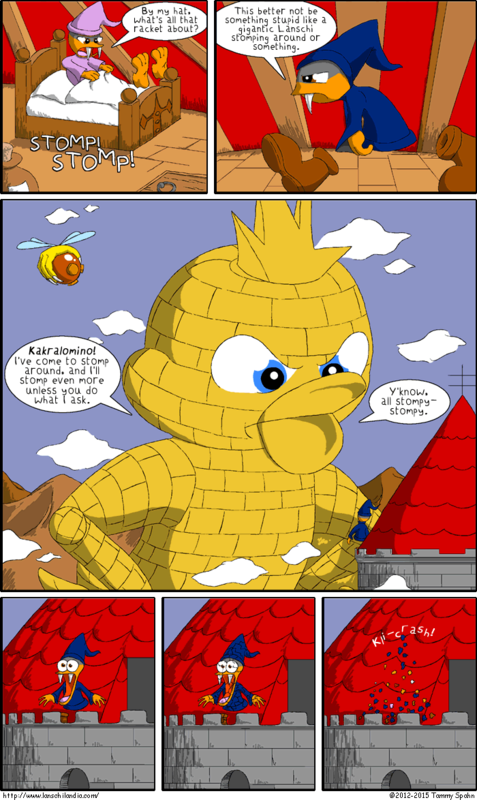 Kakralomino: This better not be something stupid like a gigantic Lanschi stomping around or something. Lanschi: Kakralomino! I've come to stomp around, and I'll stomp even more unless you do what I ask. Y'know, all stompy- stompy.